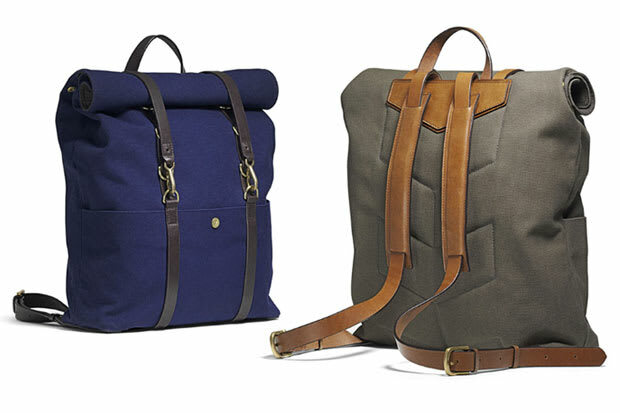 Scandinavian brand, Mismo has just released this rucksack from its 2011 Spring/Summer collection and yes, we&apos;re excited. The bag features full-grain vegetable tanned leather, adjustable straps with flaps that roll down making it adjustable to the amount of stuff you&apos;re carrying. Made from heavy canvas that&apos;s been treated to be water repellent—this bag comes equipped and ready for whatever you have planned. You can pick up both colorways in navy and army green at FrenchTrotters. But we suggest you select just once since it&apos;s a tad expensive and we&apos;d be a tad inclined to steal one from you.